One of the most significant and valuable developments of the post-Sarbanes-Oxley Act environment has been the emergence of governance “Best Practices” proposals designed to enhance and improve corporate responsibility and governance. 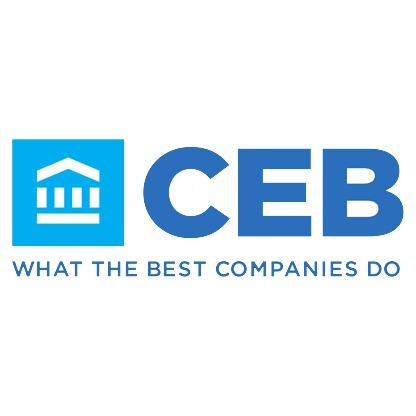 These proposals have come from a wide variety of sources, ranging from self-regulatory agencies (e.g., NYSE, NASDAQ) and business groups (e.g., The Business Roundtable, The Conference Board, National Association of Corporate Directors) to professional associations (e.g., the American Bar Association) and major corporations (e.g., General Electric, WorldCom, TIAA/CREF). While most of these Best Practices proposals have been recommended for adoption by public companies, their relevance as an aspirational goal for nonprofit corporations and non-public companies is widely recognized. From these and other resources, we have developed the following set of guidelines as “food for thought” concerning governance Best Practices to assist nonprofit corporations in responding to the current “corporate responsibility” environment. To set the proper perspective, a few important caveats are in order. First, these are Best Practices guidelines, and do not in most instances, reflect current legal requirements. Instead, the guidelines reflect our perspective on evolving trends in nonprofit governance and law. In many circumstances, adoption of, and adherence to, these Best Practices may reduce a nonprofit corporation’s exposure to potential state and federal corporate, charitable trust and tax challenges. Their adoption by nonprofits may also improve the ability of corporations to attract charitable contributions and grants, to the extent it evidences a commitment to appropriate stewardship of charitable assets. It must be stressed, however, that no negative inference should be drawn from a board’s decision not to adopt, or adhere to, any or all of these guidelines. These Best Practices are at this time aspirational goals, not legal requirements. There exists no overwhelming legal mandate for their adoption, and a decision not to do so is not indicative of a breach of fiduciary duty. Second, “one size does not fit all.” Whether a nonprofit corporation should adopt some or all of these Best Practices is a decision uniquely within the prerogative of each organization’s Board of Directors based upon a variety of facts and circumstances unique to that corporation. These facts and circumstances logically might include the size, location and business sophistication of the nonprofit corporation, the industry it serves (e.g. health, higher education), whether the organization is a private foundation or public charity, the nature of its tax exempt status under the Internal Revenue Code, whether it is an operating or a grant-making organization, and the unique characteristics of its charitable mission and sponsorship. Also relevant will be its access to a pool of willing director candidates. For example, nonprofits based in smaller communities can not reasonably be expected to have multiple committees, all filled exclusively with “independent” directors. Furthermore, multi-corporate systems will be called upon to consider the application of Best Practices to both the parent entity and to its multiple affiliates; e.g., is their adoption at the “parent” level sufficient? It may also be important to evaluate the impact of state-specific nonprofit corporate and federal exempt organization tax laws and regulations on the implementation of certain guidelines. Third, relevant public policy should not be undermined in situations where a board elects to combine or consolidate components of individual Best Practices guidelines to meet the particular characteristics of its institution. 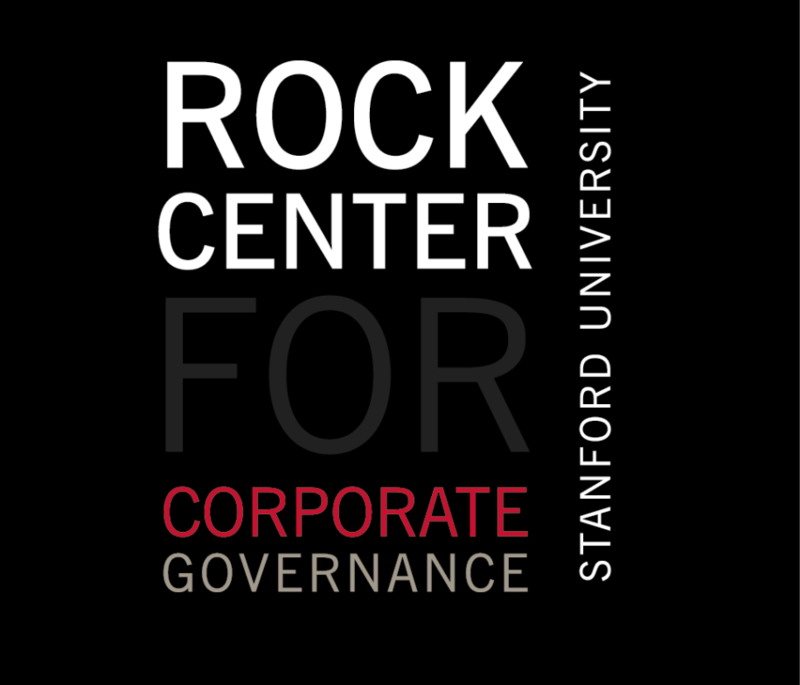 The policy goal of enhanced corporate governance should not be compromised by well-conceived variances from these guidelines: for example, requiring only a majority (as opposed to complete) control of key committees in “independent” directors; combining certain discrete functions under one committee for efficiency; and where there is no corporate general counsel, identifying an outside law firm to perform certain of the suggested reporting roles. In the final analysis, the goal of these Best Practices is the preservation and effective stewardship of the charitable assets of the nonprofit corporations. We hope you find the following guidelines to be a useful resource as you evaluate how best to govern your organization. c) requesting from management, on a periodic basis, reports identifying specific means to address perceived deficiencies in mission effectiveness. 1.2 The Board periodically should document its review of the Corporation’s charitable activities in the Corporate minutes. 1.3 The Board should be responsible for understanding its charitable mission, including the periodic review of the Corporation’s Form 1023, Application for Recognition of Exemption, annual Form 990s, and any subsequent correspondence with the Internal Revenue Service relating to its tax exempt status. (See Section 5.4). The Board should monitor the Corporation’s compliance with the manner in which the Corporation’s activities were described to the Internal Revenue Service and consult with legal counsel if there has been or will be any material change in operations subsequent to the filing of its Form 1023 with the Internal Revenue Service. 1.4 The Board should stay informed regarding material developments in the laws governing charitable organizations through periodic educational sessions. 2.1 Establish an appropriate balance between the CEO and Board Chairman roles, either through separation of offices or establishment of “Lead Independent Director” position. 2.2 Clearly articulate the role of the non-executive Chairman (or of the Lead Independent Director). 3.1 The Board should commit to the active, informed and independent oversight of the Corporation’s business affairs and of senior management. 3.2 At least a majority of the members of the Board (or of the “Parent” Corporation, if one exists) should be “independent,” both in fact and appearance. 3.3 The independent directors should meet periodically in executive session (that is, outside the presence of any senior executive officer). a) The Board should adopt written guidelines to assis t it in determining director independence, which guidelines should be based upon the absence of any material direct or indirect relationship with the Corporation, consistent with all facts and circumstances. b) All members of the Board should be identified as either “independent” or “non-independent” according to the Board guidelines. “Non-independent” directors make valuable contributions to the Board, and their continued service is strongly encouraged. 3.4 Individual directors should disclose to the Board all information and analyses of which they become aware that may be relevant to the exercise of the Board’s oversight obligations. The Board should require similar disclosure by members of senior management. ￼3.5 Directors should have reasonable access to all officers, senior executive employees and professional advisors of the Corporation. Any such access should be arranged through the CEO or the CEO’s designee. 3.6 The Board (directly or through the Executive Compensation or other comparable Committee) should be responsible for evaluation of the performance of the CEO, and for CEO selection and management succession. 4.1 A written conflict-of-interest policy should be adopted that complies with existing state law requirements and Internal Revenue Service non-binding guidance and that recognizes the potential for conflict arising from material financial and non-financial relationships. 4.2 If the Board encounters more than a few conflict of interest issues each year, a standing committee comprised entirely of independent directors should be designated to evaluate potential or actual conflicts of interest which are disclosed to the Board, and any other material transaction between the Corporation and a senior executive officer or other interested party. 4.3 Policies addressing confidentiality and appropriation of corporate opportunities should be adopted to help preserve proprietary information, assets and business interests of the Corporation. f) in consultation with legal counsel, ensuring the sufficiency, clarity and timeliness of all financial disclosures of the Corporation. 5.2 The Board should ensure the consistency of corporate expenditures with statements made in corporate charitable solicitations, and compliance with all donor restrictions. d) financial information concerning the Corporation, prepared in accordance with generally accepted accounting principles, should be available to the public on request. Such information should accurately reflect the Corporation’s expenses related to fund—raising activities, among other expenses. 5.4 The Board should ensure that the Form 990 filed annually by the Corporation with the Internal Revenue Service contains as much information as reasonably possible concerning mission, goals, programs and other key developments of the Corporation relating to its charitable, exempt status, and is available for inspection by the public in accordance with applicable federal and state legal requirements. i) other governance policies and procedures. 7.1 A standing Audit Committee should be appointed, to be comprised entire ly of independent directors. 7.2 The Audit Committee should adopt a written charter and should meet periodically in executive session (that is, outside the presence of any senior executive officer). d) responsible for any other activities that are set forth in the Committee charter. 7.4 The Board resolution establishing the Audit Committee should specify whether some or all committee decisions are to be made exclusively by the Committee, or by the Board of Directors upon ￼recommendation of the Committee. 7.5 The Audit Committee should be authorized (and provided with funding sufficient) to engage independent outside legal and accounting advisors when deemed necessary and advisable by the Committee. 8.1 A standing Executive Compensation Committee should be appointed, to be comp rised entirely of independent directors. 8.2 The Executive Compensation Committee should meet periodically in executive session (that is, outside the presence of any senior executive officer). 8.3 The Executive Compensation Committee should be responsible for establishing (or making a recommendation with respect to) the compensation and benefit arrangements (including qualified and non-qualified benefit plans) provided to the senior executive management of the Corporation; and such other activities as shall be set forth in the Committee charter. 8.4 In the decision-making process, the Executive Compensation Committee should establish and adhere to a compensation philosophy which reflects the charitable, tax-exempt mission of the Corporation. Any incentive compensation arrangements should be supported specifically with a description as to how the incentive arrangement furthers the tax exempt mission and charitable purposes of the Corporation. 8.5 The Board bylaw or resolution establishing the Executive Compensation Committee should specify whether some or all Committee decisions are to be made exclusively by it, or by the Board of Directors upon recommendation of the Committee. 8.6 The Executive Compensation Committee should be authorized (and provided with funding sufficient) to engage outside independent compensation and legal advisors, when deemed necessary and advisable by the Committee. 8.7 The CEO should not be present for, or participate in, Committee deliberations concerning CEO executive compensation (other than to answer questions) but may, with the approval of the Committee, participate in the deliberations concerning the compensation of other members of senior executive management. 8.8 The Executive Compensation Committee should attempt to comply with the “Rebuttable Presumption of Reasonableness” under Section 4958 of the Internal Revenue Code whenever possible (See Section 13.0). 9.1 The Board is ultimately responsible for promoting an organizational culture that encourages a commitment to compliance with the law. 9.2 The Board should take all necessary steps to instill a “culture of compliance” within the Corporation. e) ensure that “non-retaliation” protections are in place for employees who disclose potential legal violations under the reporting system. Larger nonprofit corporations, particularly those that operate in a highly regulated environment, should establish a standing Corporate Compliance Committee, comprised of a majority of independent directors, that is given the direct responsibility to oversee corporate ethics and compliance activity. A member of senior management of the Corporation should be assigned direct, overall responsibility for the compliance system, be given adequate resources and authority to carry out such responsibility, and report to the Board (directly or through a Corporate Compliance Committee). In larger nonprofit corporations with inside legal counsel, the Board should be responsible for ensuring that the Office of General Counsel of the Corporation is a strong and essential part of the Corporation’s control and governance structure. The Office of the General Counsel should be actively involved in the provision of information and analysis supporting exercise by the directors of their oversight obligations, particularly as they relate to corporate compliance matters. Each lawyer (both in-house and outside) representing the Corporation should serve the interests of the Corporation, and not the personal interests of any individual officer, director or employee (except as provided at 10.5(c)). The General Counsel (in consultation with the Chief Compliance Officer) should have primary responsibility for supporting the implementation of an effective compliance system for the Corporation, subject to governing Board oversight. c) all reporting relationships between internal and external lawyers of the Corporation to establish a direct line of communication with the General Counsel and, in turn, between the General Counsel and that Board. e) establishment and maintenance of director orientation, training, and continuing education and self-evaluation programs, with particular emphasis on (i) the effectiveness and adequacy of the Board and its committees; (ii) the sufficiency and timeliness of the information provided by management to the Board; (iii) the background and qualifications of individual directors; and (iv) the contributions of each director to the Board and to mission effectiveness. The Board is ultimately responsible for ensuring the accuracy and completeness of the Corporation’s communications to the public in fund-raising activity. c) the reasonable privacy concerns of donors are addressed. 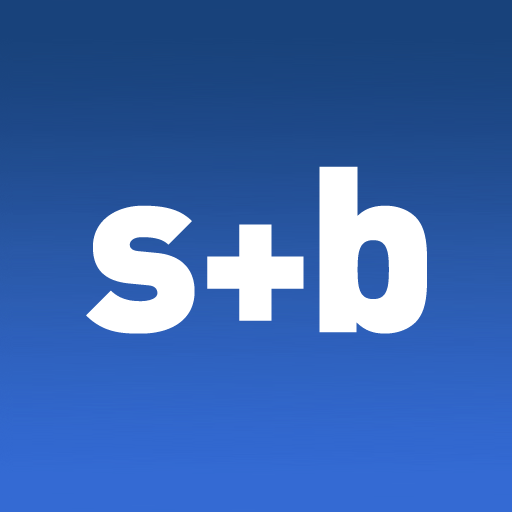 The Board, or its legal counsel, should establish a program to monitor the Corporation’s compliance with all state charitable solicitation laws in which the Corporation solicits charitable contributions and monitor all web-based solicitations for compliance with applicable state and federal laws. 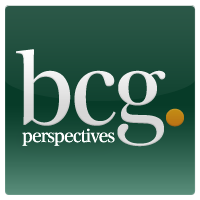 The Board should review and understand the Internal Revenue Code provisions dealing with “excess benefit transactions.” As part of its review, the Board should seek to identify (through periodic disclosure statements and other means) those categories of individuals and entities (e.g., corporations and partnerships who may be considered “disqualified persons”) under these provisions and, accordingly, potentially subject to excess benefit transaction excise taxes (“Disqualified Persons”). The Board should adopt procedures for reviewing and approving all transactions between the Corporation and Disqualified Persons to ensure ongoing compliance with state and federal law. At a minimum, such procedures should include the following. a) The Board, or a committee created by the Board, should review the compensation arrangement or terms of the transaction with the Disqualified Person. The Board or committee conducting the review should be comprised entirely of individuals who do not have a conflict of interest with respect to the arrangement or transaction being reviewed. b) In making its determination of reasonableness, the Board or committee should obtain and rely upon appropriate data as to comparability from internal or external sources prior to making its determination. (4) the actions taken with respect to consideration of the transaction by anyone who is otherwise a member of the Board or committee but who had a conflict of interest with respect to the transaction or arrangement. 13.3 The Board should consider the appropriateness of adopting a policy providing that it will comply with the “Rebuttable Presumption of Reasonableness” in all but the most exceptional of circumstances. Republished with permission from McDermott Will & Emery. For more, visit mwe.com.